You can also order Smeg spare parts by phoning 081 827 5751 and speaking directly with our spares department. We hold stock for a variety of Smeg appliances and have access to over 54,000 lines of Smeg spare parts. We stock over 4000 lines of fast moving items for overnight dispatch within the UK. We can process your order on-line via the www.servevastdirect.co.uk where spares can be ordered 24 hours a day 7 days a week. 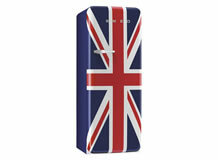 Smeg spares which are stocked in the UK will be dispatch the same day. If you are looking to repair or even refurbish your Smeg fab appliance then Servevastdirect can help you find what you are looking for. www.servevastdirect.co.uk can supply Smeg bottle shelves, Smeg glass shelves, Smeg salad / vegetable drawers, Smeg ice box doors, Smeg water filters, Smeg door handles, Smeg adjustable feet.